Welcome to our Specials page. These are mostly one-of-a-kind items. 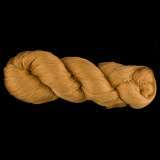 You'll find silk yarns, silk ribbons and silk rovings. 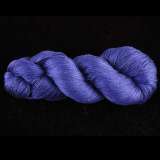 The Specials page includes odd-sized packages/skeins/cones (bigger or smaller than our standard sizes), our dyed 'oops' (where the dye result didn't match our exacting standards), and any Limited Edition Kits currently available. 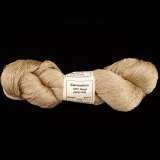 The odd-sized items are a great way to try a silk you've not tried before. 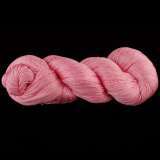 Or the bigger skeins are wonderful if you need just a bit more than a regular size skein for your project. 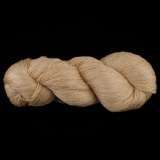 Most of our odd-sizes are natural (undyed), but we do have a few dyed items that are perfectly dyed, just undersized (labeled Color Now!). The dyed 'oops' are a great value -- there are just one or two of each of these and they sell quickly--remember, she/he who hesitates is lost! Note--when you check out, if the cart won't let you get as many of the Specials or Color Now! 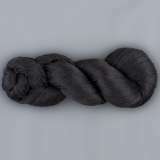 skeins as you'd like, that's because we don't have as many as you're trying to order. Call us foll-free if you have questions 1.888.383.silk(7455)--we're happy to help! 4-shaft weaving Kit; 100% Silk Scarf. Featured in Handwoven Loom Theory: 4-Shaft Scarves Collection. 8-or-16-shaft weaving Kit; 100% Silk Scarf. 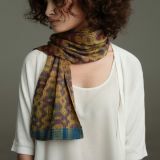 Featured in Handwoven Loom Theory: 8 and over-8 shaft Scarf Collection. Rigid Heddle Weaving Kit; 100% Silk Scarf. Featured in Handwoven Loom Theory: Rigid-Heddle Scarf Collection. 4 Shaft Weaving Kit; 100% Silk; Makes one macramé knotted fringe scarf or two infinity (fringeless) scarves. 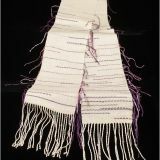 8-Shaft Weaving Kit in Limited Edition Color Options; Each kit makes 2 scarves.